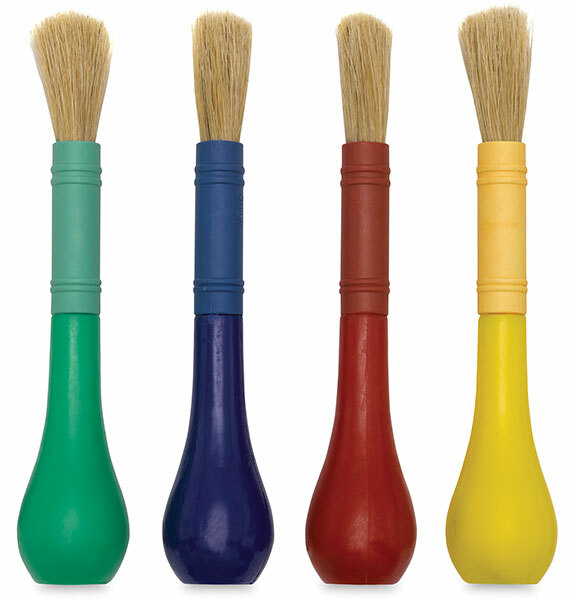 Perfect for small hands or special needs, these easy-to-hold natural hog bristle brushes are chubby, with a ball-shaped end. 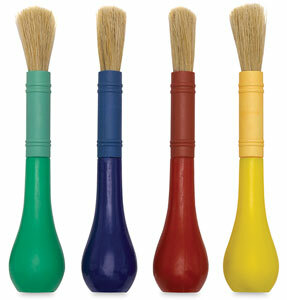 The brushes have 6" plastic handles, plastic ferrules, ¾" long hair, and a 1¼" bulb grip. Available in a package of 4 primary colors.